Includes two fittings: one -3 AN to -2 AN and one -3 AN bleeder. 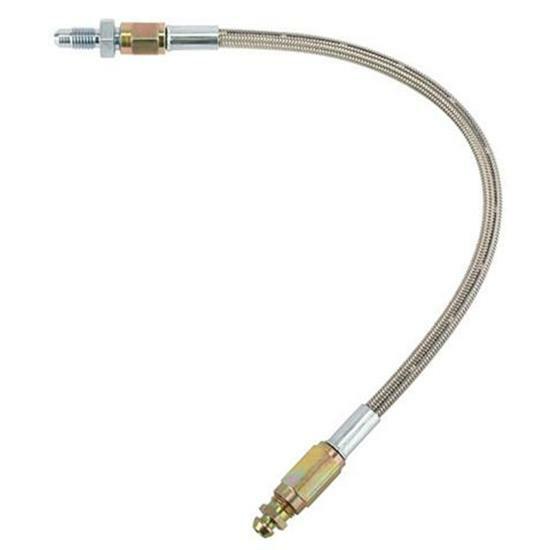 Bleeder hose for 910-710100 or 910-710200. The -3 AN line is 11" long. Tip to tip of fitting is 12". Read more about bleeding hydraulic lines in our tech article, How To Bleed Your Brake Lines. Bleeding your brakes on your own with the Phoenix System can be done! That's right, no more bribing your buddies to help!